Happy Friday! After a pretty rough week, I'm in the mood to uh, liven the mood a bit. Not forget anything, no, not at all. But remain positive and spend time with people that I love, support and cherish. That being said, one of my favorite places in San Francisco is the Embarcadero – a stretch of roadway along the Bay. It's beautiful – whether it's during the day or night – and I love people watching, eating at one of the many amazing restaurants and experiencing the city. 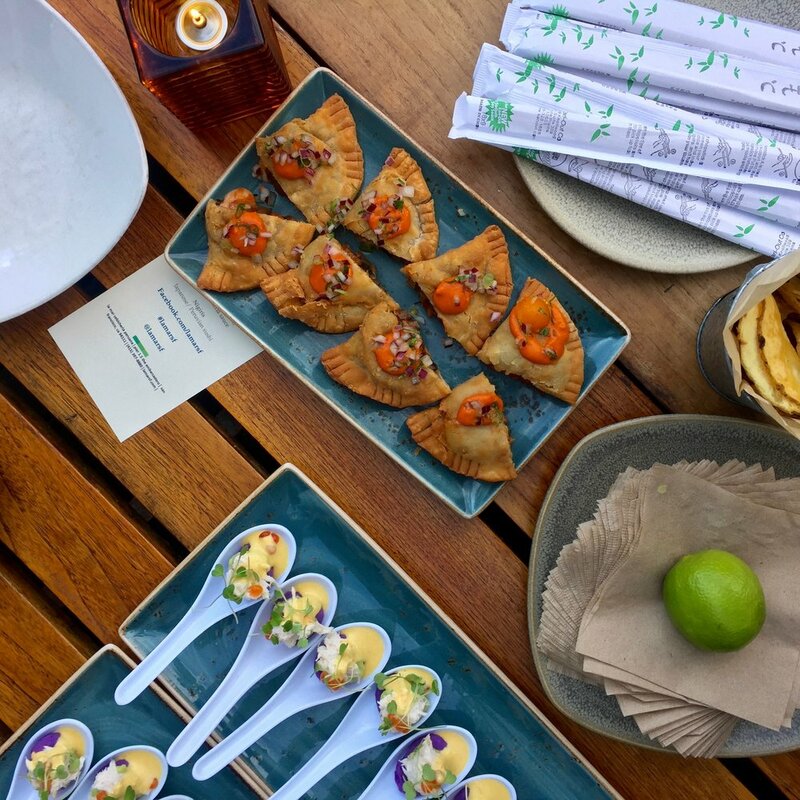 Start off with a Pisco Sour, a few orders of veggie empanadas, and the classic ceviche. And if you're feeling wild, go for another cocktail. I fancy the Pisco Sour and the margarita. Yum!